Hold on tight and get ready for the ride of your life! 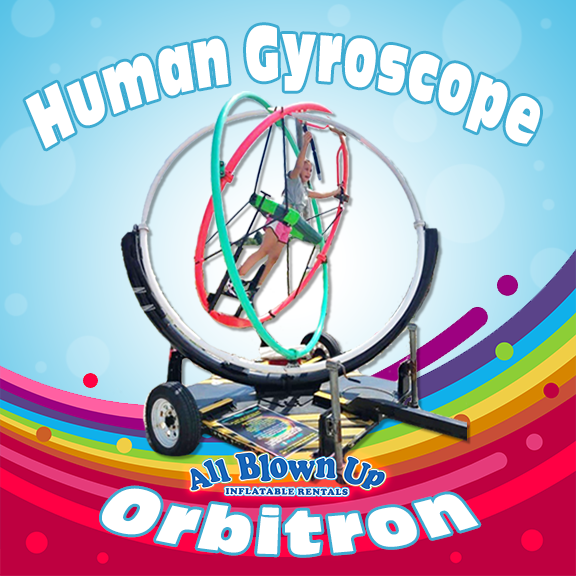 The Human Gyroscope/Orbitron is a thrill ride like no other! Based on NASA’s zero-gravity facility, passengers experience 360 degrees of motion and the feeling of weightlessness! The ride is controlled by the passenger’s body weight and shifts in body position impact the nature of the ride. At night, the LED lights intensify the experience! It’s a thrilling ride for kids and adults alike! No power required. Maximum participant weight = 235 lbs. Minimum door opening for indoor use is 8'Wx11'H.